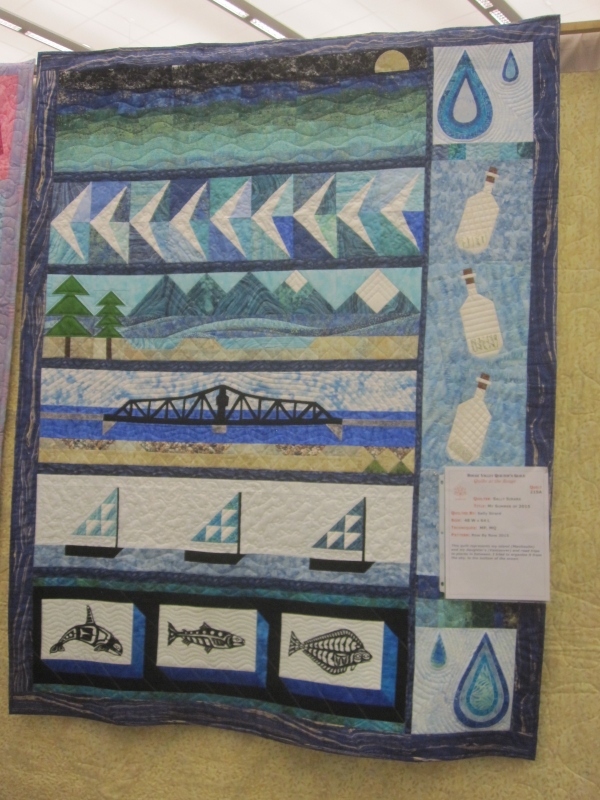 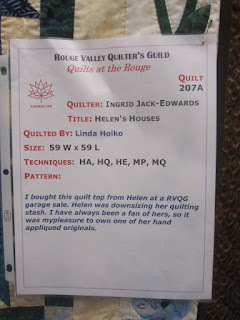 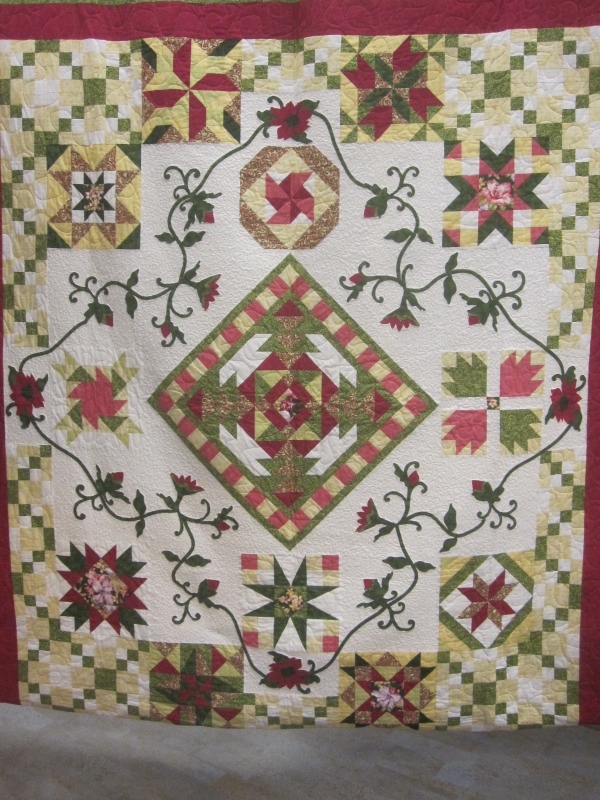 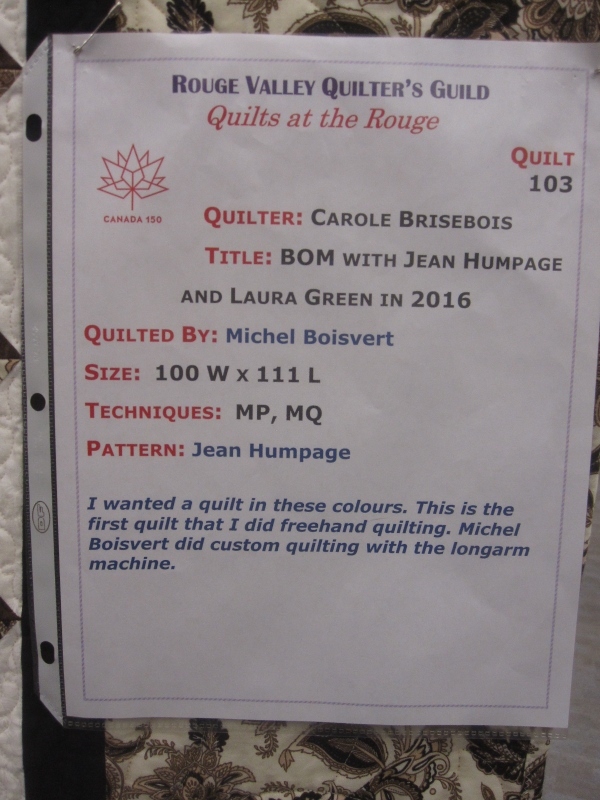 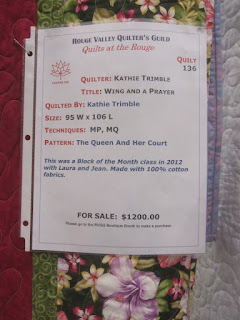 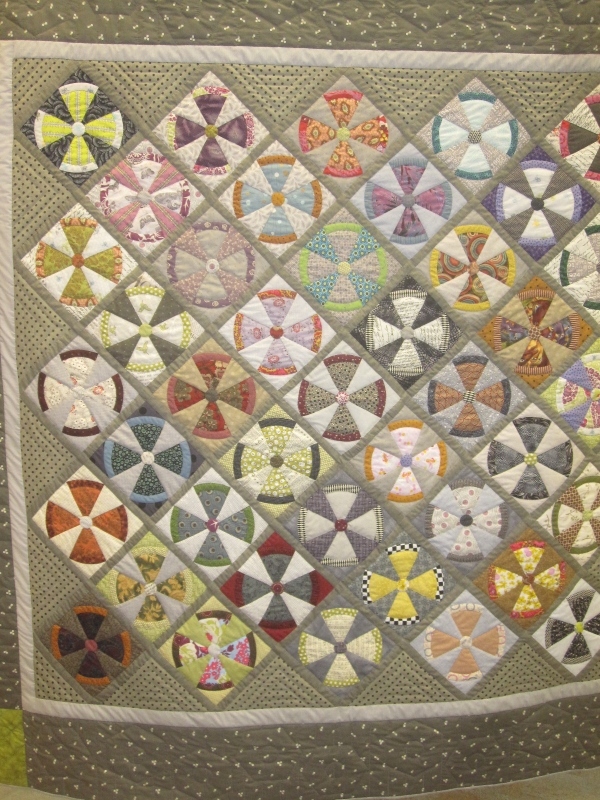 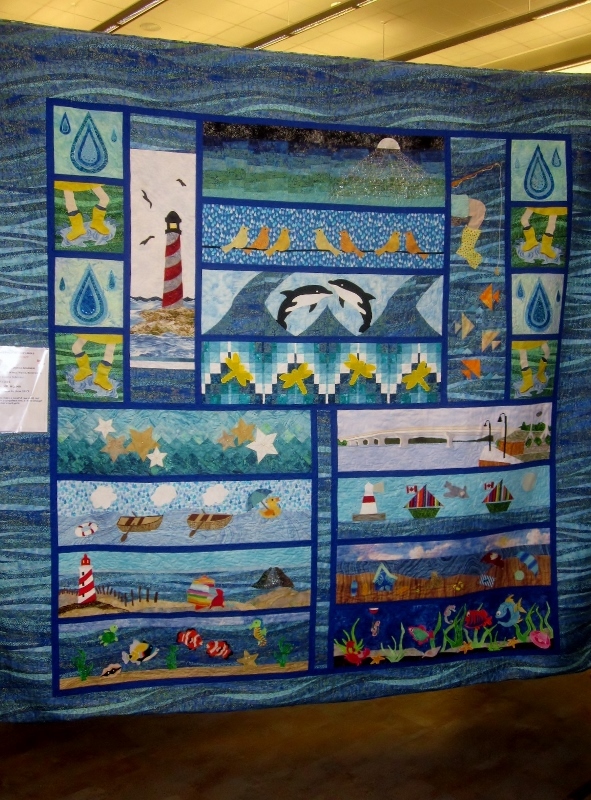 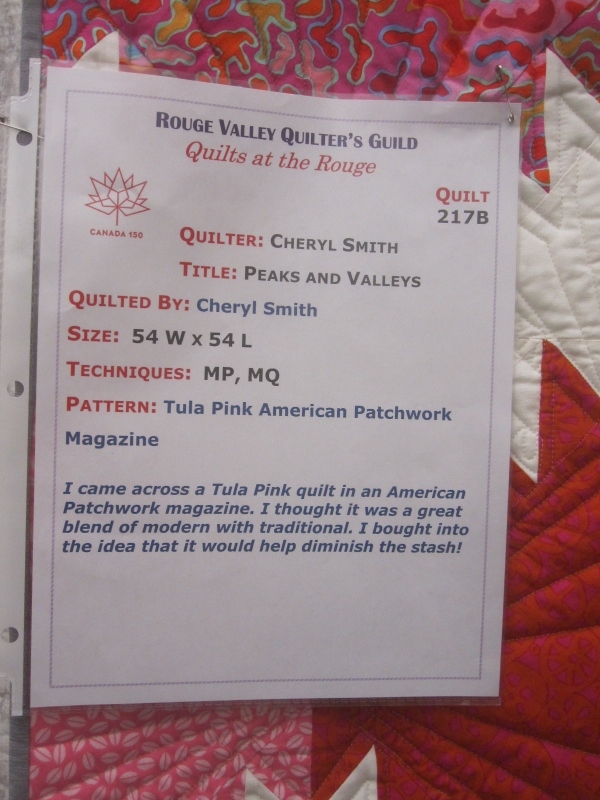 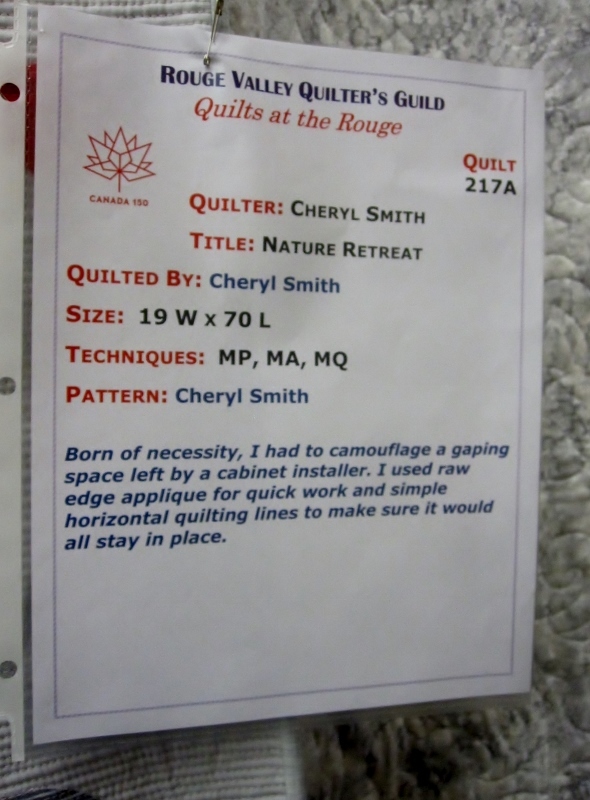 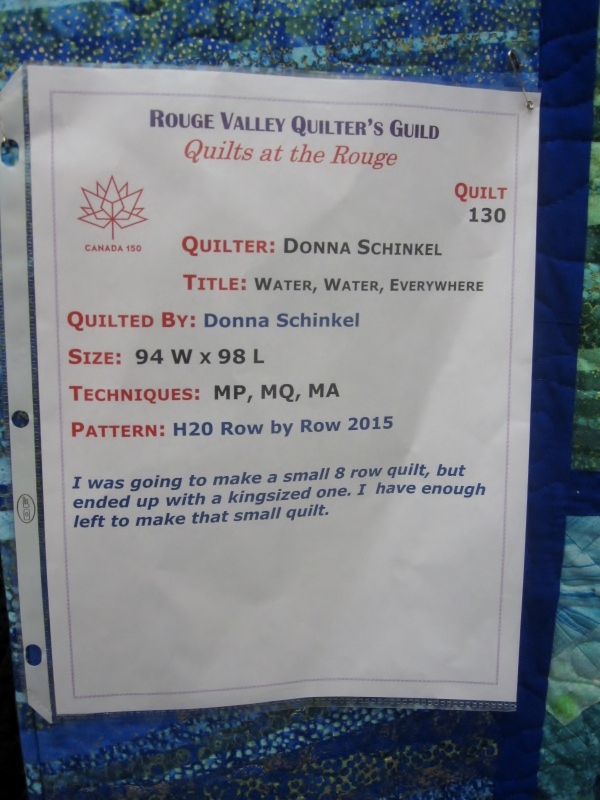 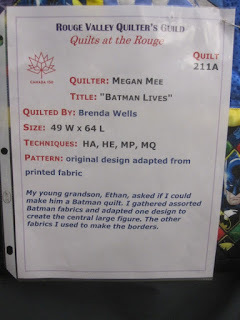 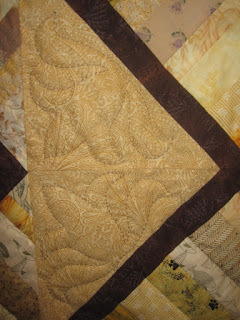 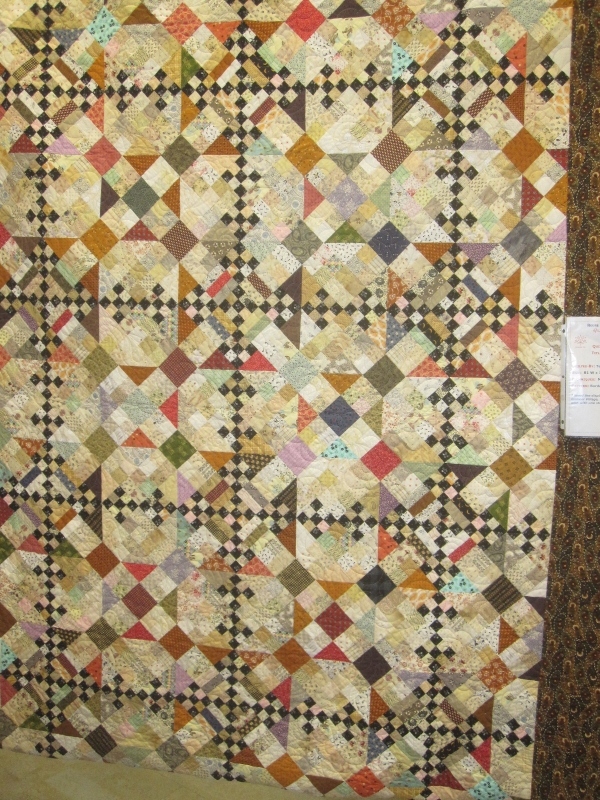 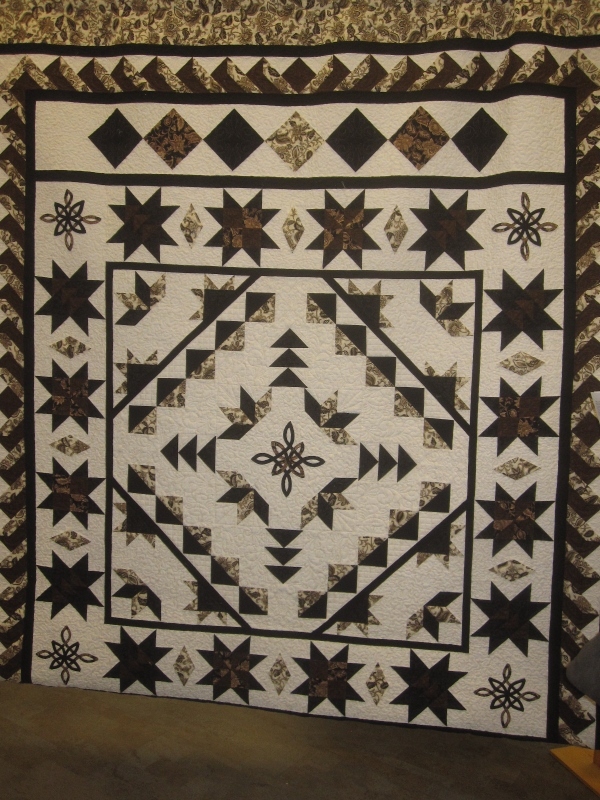 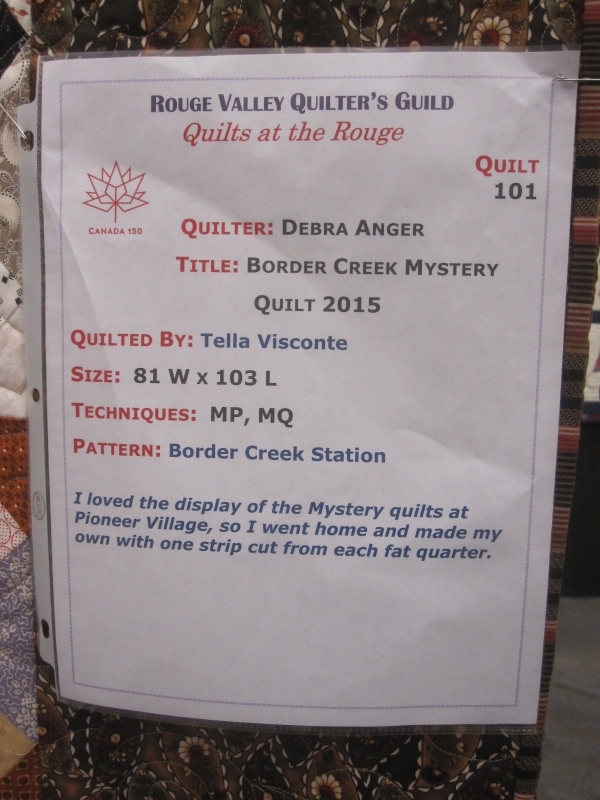 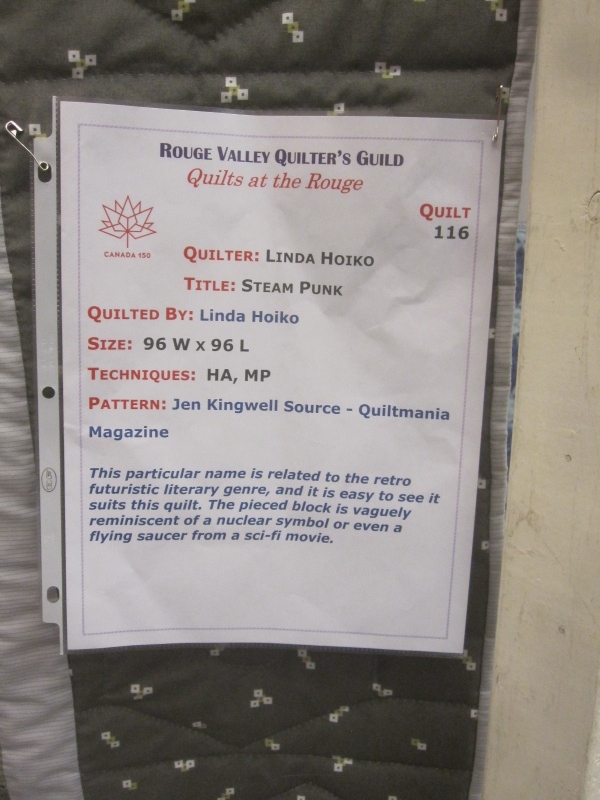 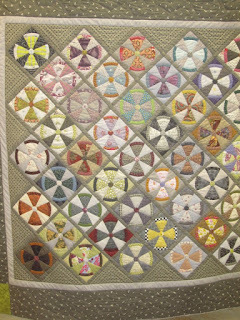 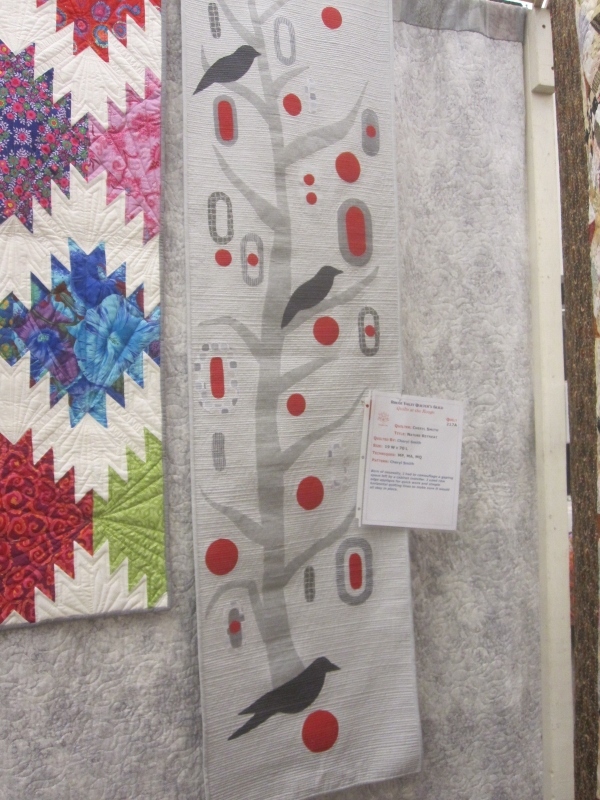 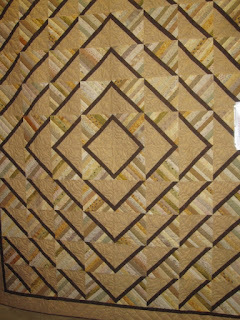 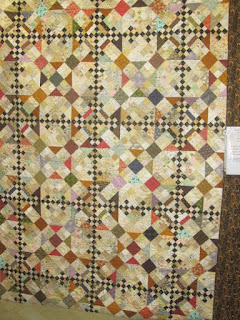 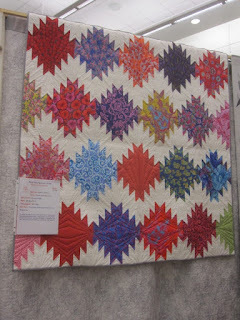 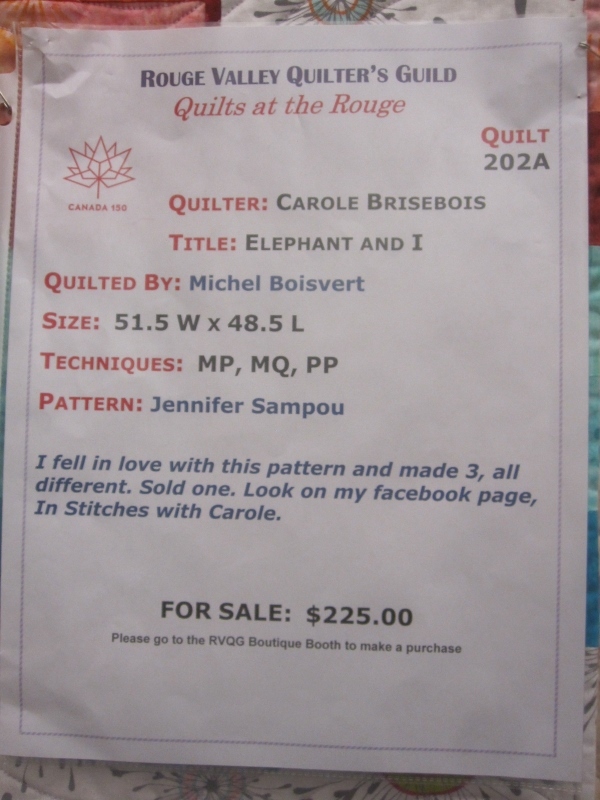 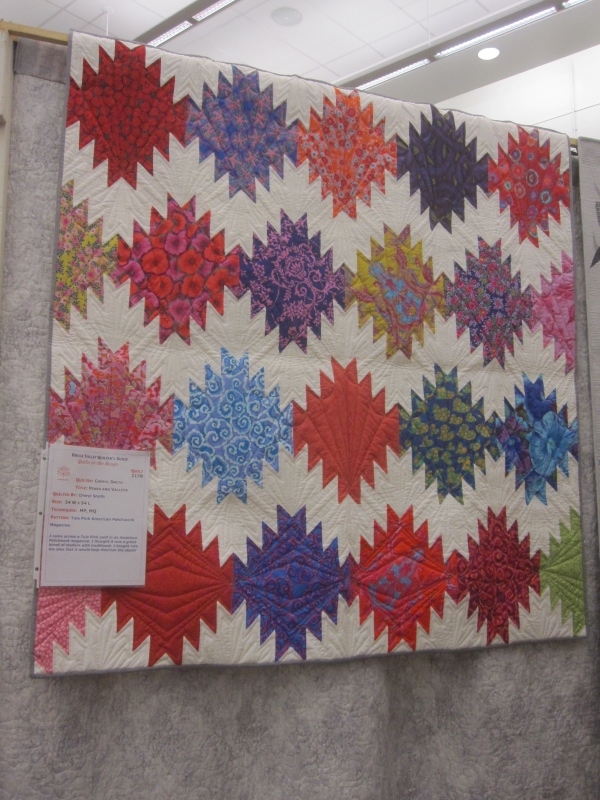 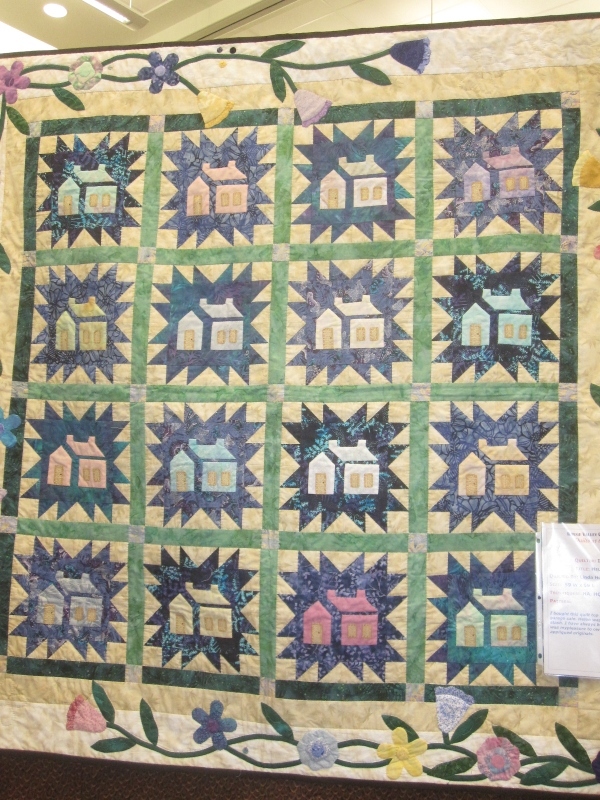 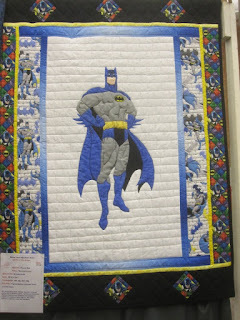 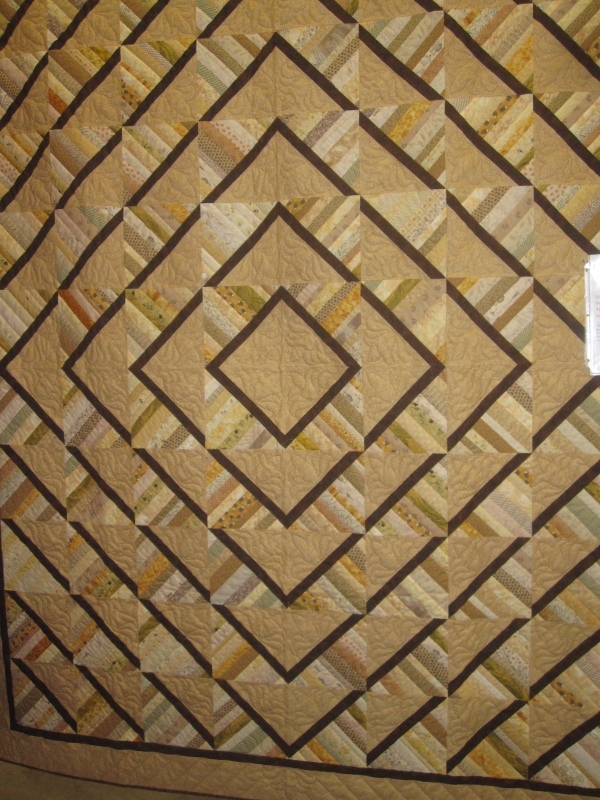 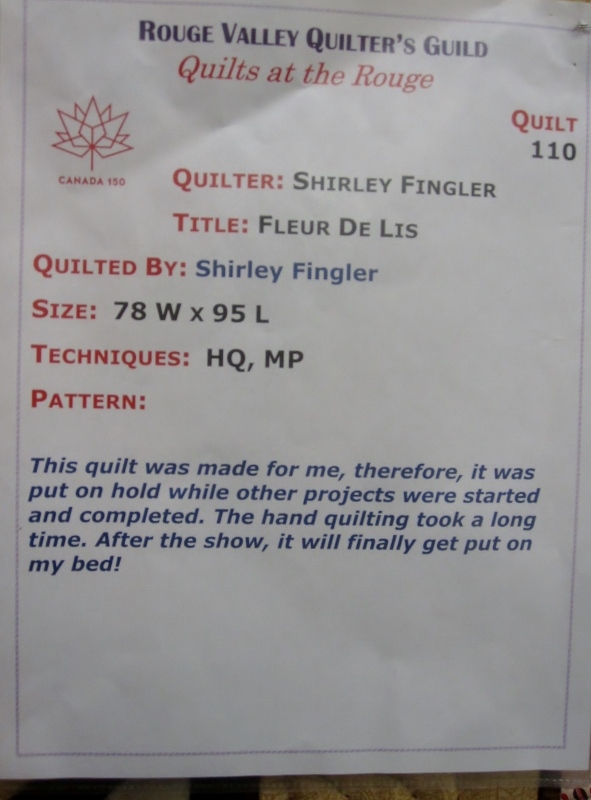 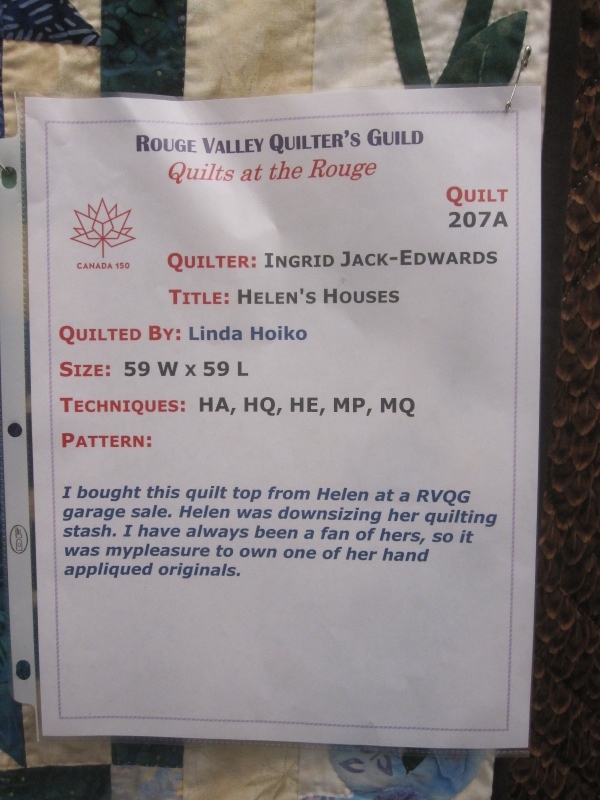 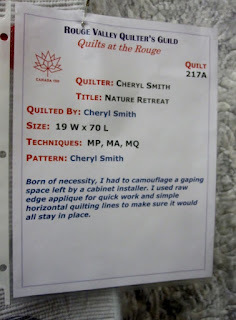 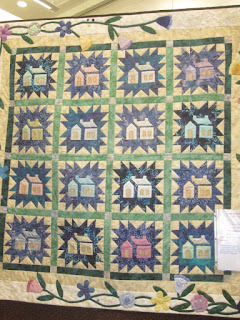 Here's a few photos of the Rouge Valley Quilt Show that I attended this past weekend. 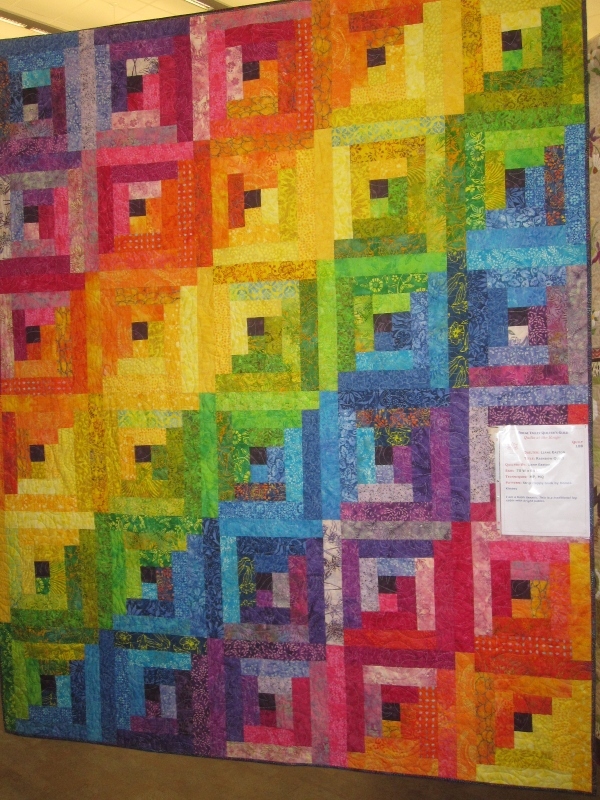 I couldn't dawdle too long because we had matinee tickets to see Strictly Ballroom at 2:00 p.m. I got to the quilt venue just before they opened and met up with Judy. We saw all the quilts first and then checked out the vendors. 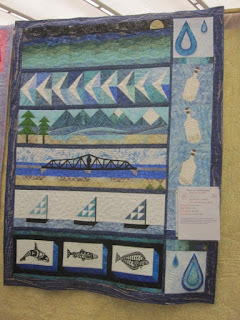 Being a 'rower' (one who participates in the Row by Row event) myself, I was immediately attracted to this huge quilt. 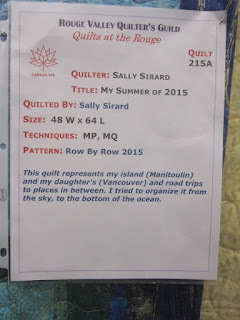 I know the shops where some of the rows came from. There are still some hand quilters. 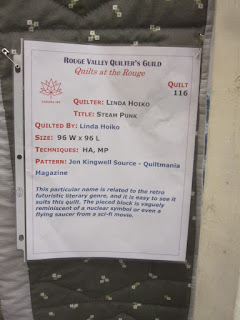 I just had to take a photo of this one. 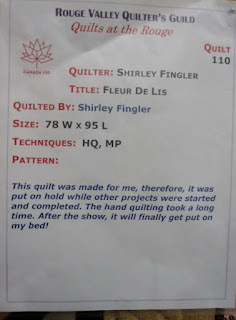 I have this pattern. 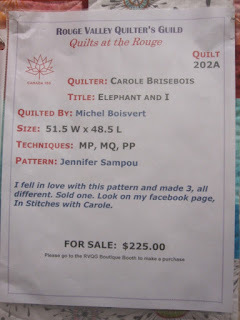 My youngest daughter likes elephants so I'll get to it one day. 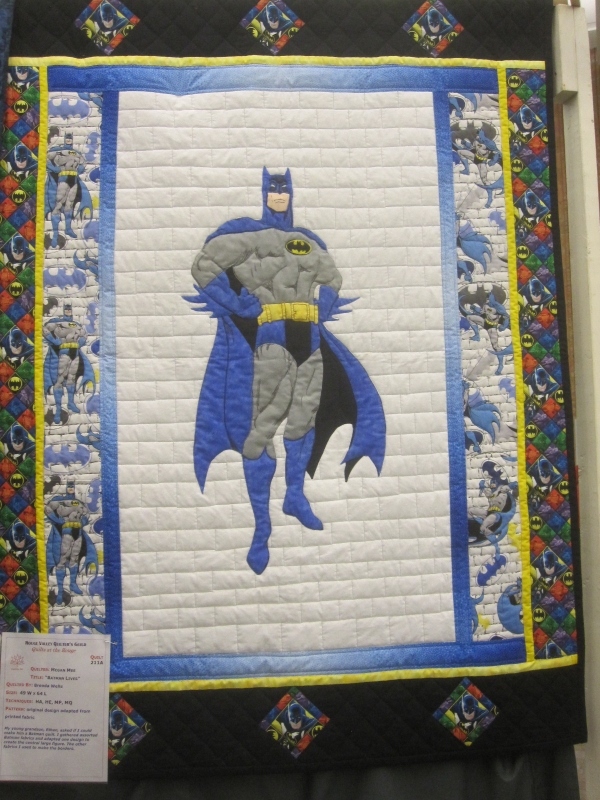 This is the only thing I purchased. 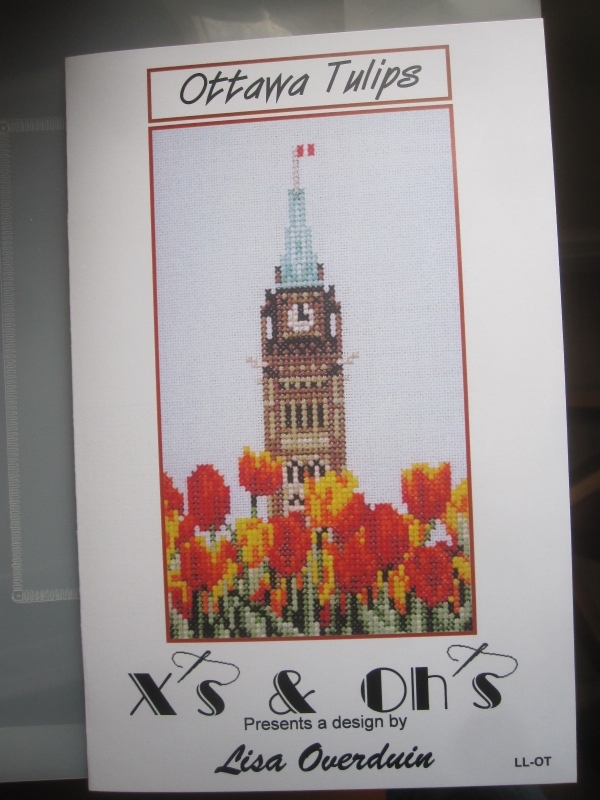 It's Canada's 150th birthday this year and I thought this would make a nice little framed picture on the wall. That's it for now. 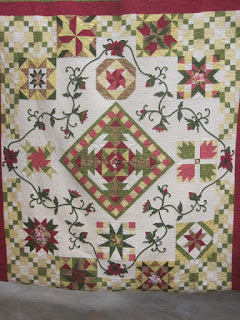 I'm off to get some sewing and quilting done. 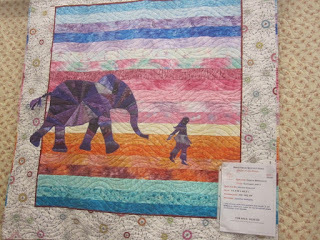 Rainbow log cabins, what great thought there as the colours progress, and Elephant and I, that is a super piece. 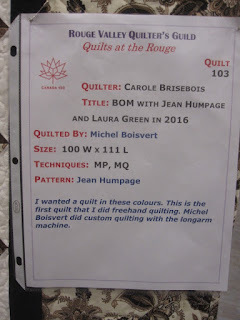 You must have had a busy morning! 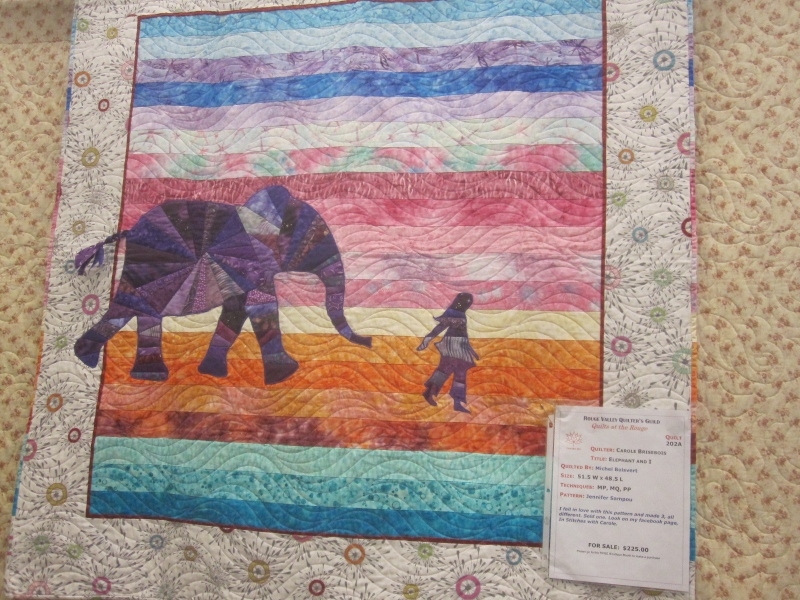 I like how the elephant is walking into the framed centre. 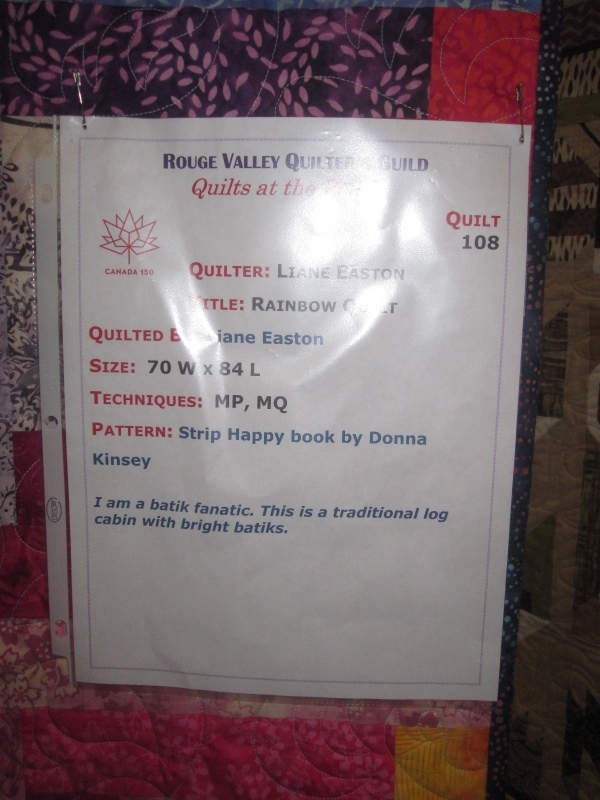 I love the colourful log cabin and the first row by row (if I had to choose favourites). 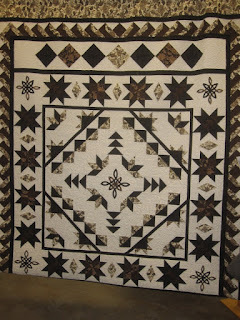 Thanks for another great online quilt show!